‘Sonic Mmabolela’ draws from previous experience of an equivalent workshop / residency, also conceived and directed by Francisco López, in the Brazilian Amazon (“Mamori Sound Project” 2005 2011), which has been attended by 70 artists from all over the world, who have produced to date dozens of releases, sound installations, exhibitions, films, publications and public presentations worldwide, based on the sound materials and experience gathered during that workshop / residency. • Introductory theoretical/discussion presentation sessions on environmental recordings and sound creation, with a historical/philosophical/critical perspective. • Field trips (both diurnal and nocturnal) for extensive listening and recording of sound environments. • Sessions of studio work (with laptop) using these materials. • Artists’ presentation/discussion sessions on sound creative work / environmental recordings. • Development and realization of a sound piece by each participant with some of the original sound materials gathered in the field work. • Presentation of the finished pieces by the participant artists. 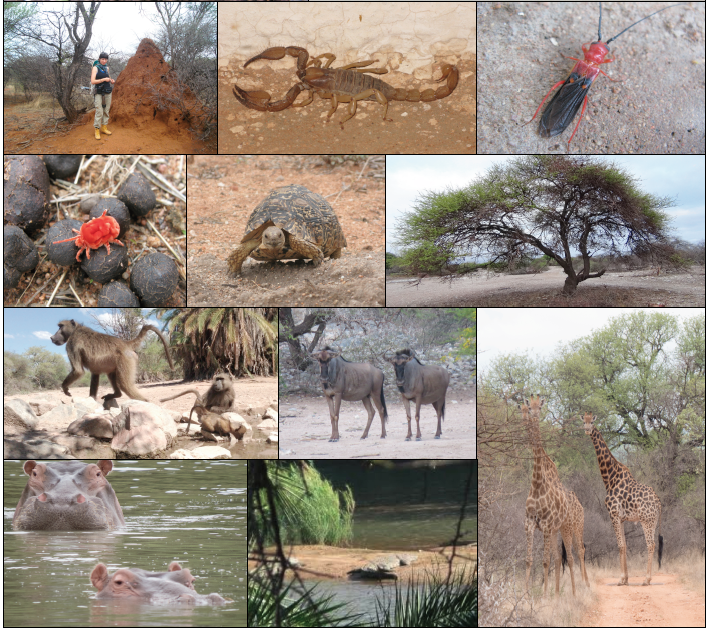 All these activities are organized in a daily schedule according to the changing sonic environments of Mmabolela Reserve. This typically involves many hours of field and studio work but there is also flexibility to allow participants to choose from several schedule options. The language for the workshop/residency is English. The director also speaks Spanish and has conversational levels of French, Portuguese and Italian. Francisco López, director of ‘Sonic Mmabolela’, is internationally recognized as one of the major figures of the experimental music and sound art scene. 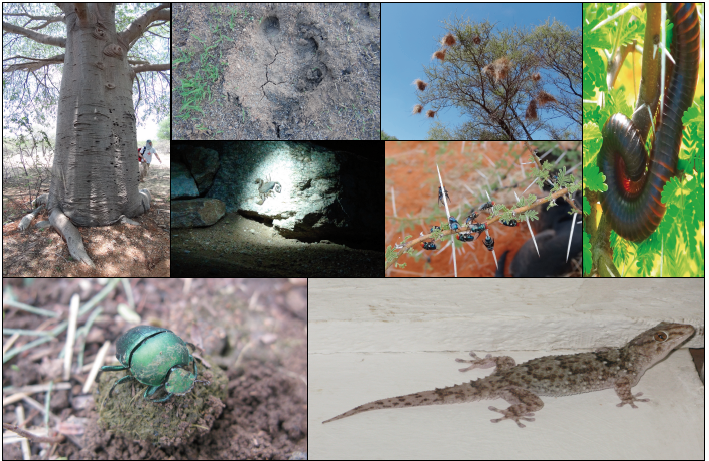 He is also a Ph.D. ecosystem biologist, with more than twenty years of teaching experience in Spain and Latin America. His experience in the field of sound creation and work with environmental recordings spans over a period of forty years. He has collaborated internationally with hundreds of artists and his work has been released by 400 record labels worldwide. He has been awarded four times with honorary mentions at the competition of Ars Electronica Festival and is the recipient of a Qwartz Award for best sound anthology. 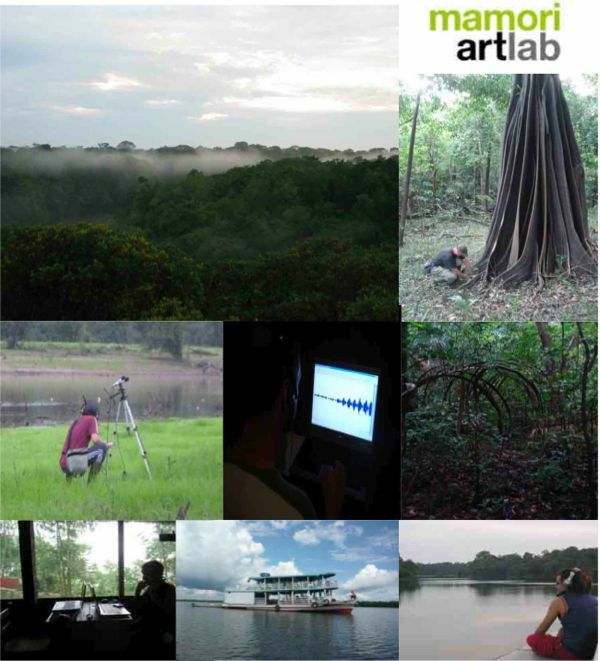 He has realized hundreds of environmental recording projects, commissions, live performances, sound installations and workshops, as well as research in entomology and ecosystem dynamics, in over seventy countries of the six continents, with a particular emphasis on tropical and sub-tropical areas in the Americas, Africa and Australasia. 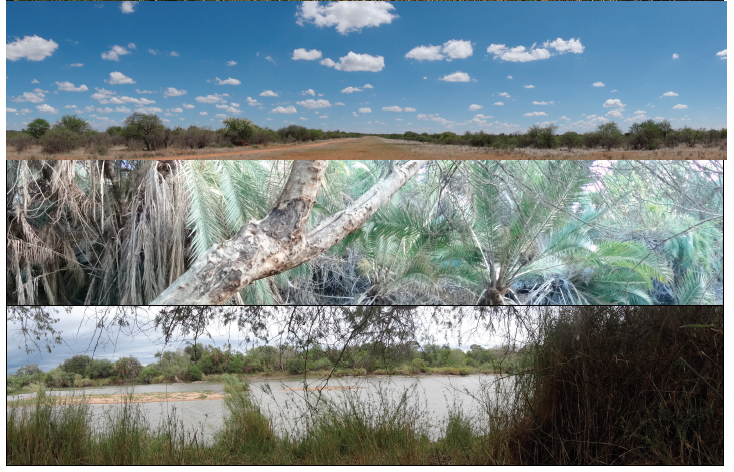 Barbara Ellison, project assistant of ‘Sonic Mmabolela’, is an Irish sound and visual artist whose recent work explores perceptual ambiguity and our propensity and desire to find meaningful patterns in our environment, even when none exist. Her performances often play with ritualistic forms giving rise to sonic structures emerging through a hypnotic repetitious exploration of simple sound-producing actions. Her projects manifest in diverse and often unexpected media and platforms involving long intense working periods of practical and theoretical research. 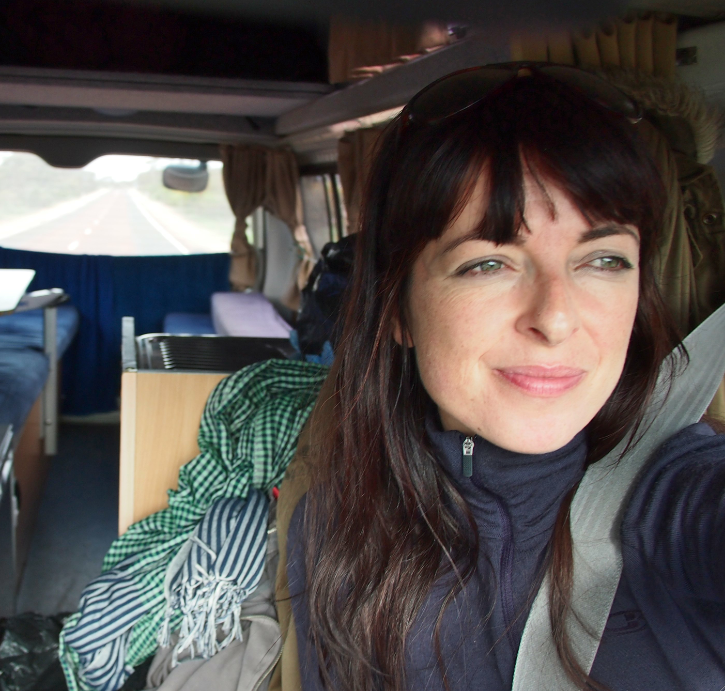 Her work has been performed and exhibited worldwide, and her artistic research has brought her in recent years to Baffin Island, Nunavut, Arctic (2010), Amazon, Brazil (2011), Svaneti, Georgia (2012), Danum Valley rainforest in Borneo (2012), Cardamom rainforest, Cambodia (2013), Mmabolela, South Africa (2013), Iceland and Australia (2013), Japan (2014), Chile and Bolivia (2014), Nepal (2016). She has a PhD from the University of Huddersfield, UK (‘Sonic Phantoms’) and is currently teaching at the Institute of Sonology at the Royal Conservatory of The Hague, The Netherlands. Neil Lowe is an IT consultant by day and an ambitious home cook whenever he gets the opportunity. 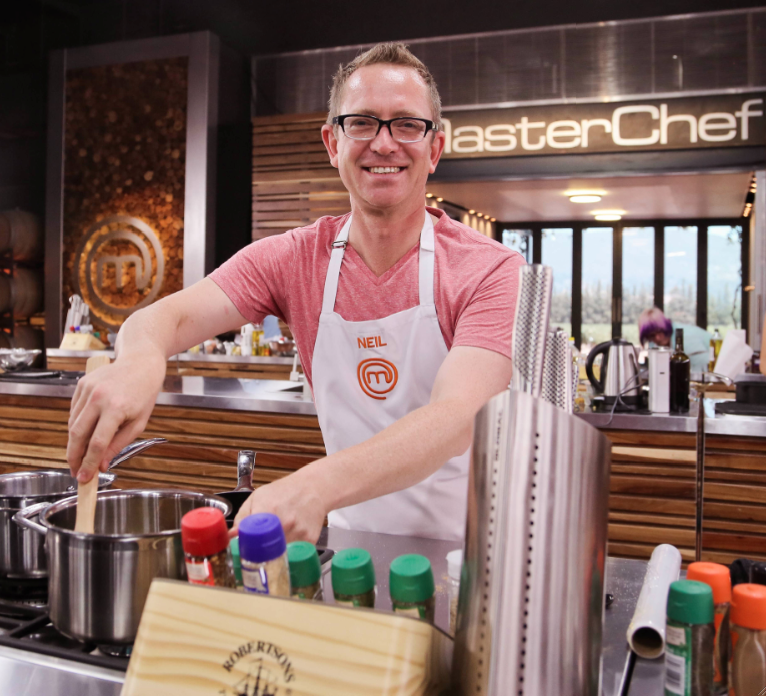 A repenting MasterChef SA 2013 finalist with a passion for creating delicious food based on the scientific understanding of the cooking process, Neil likes to fuse modernist cuisine with various ingredients and techniques from modern and traditional South African, North African, Mediterranean and Asian cuisine. An integral part of the ‘Sonic Mmabolela’ team since its inception, his culinary prowess and ability to think on his feet in an often-challenging environment has kept participants eagerly looking forward to every meal. 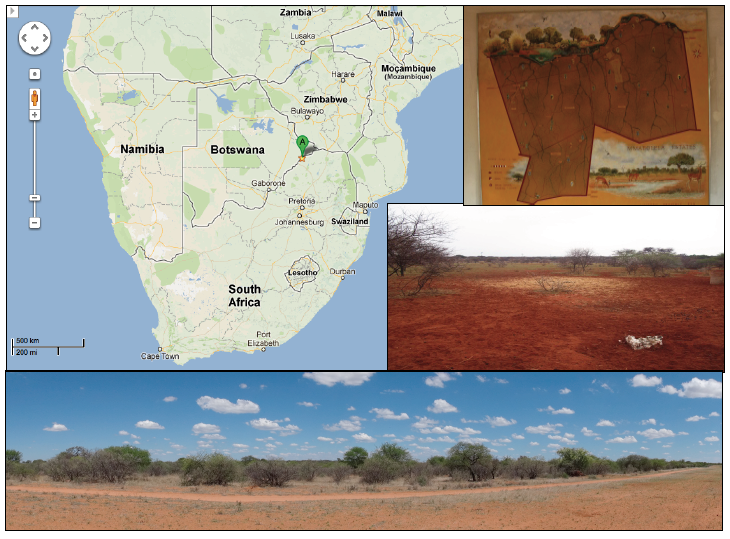 Mmabolela is a private nature reserve located in the Limpopo Valley Bushveld, northern Limpopo province, South Africa, right at the border with Botswana (approximately 7-8 hours drive from Johannesburg) (http://goo.gl/maps/4g3zW). 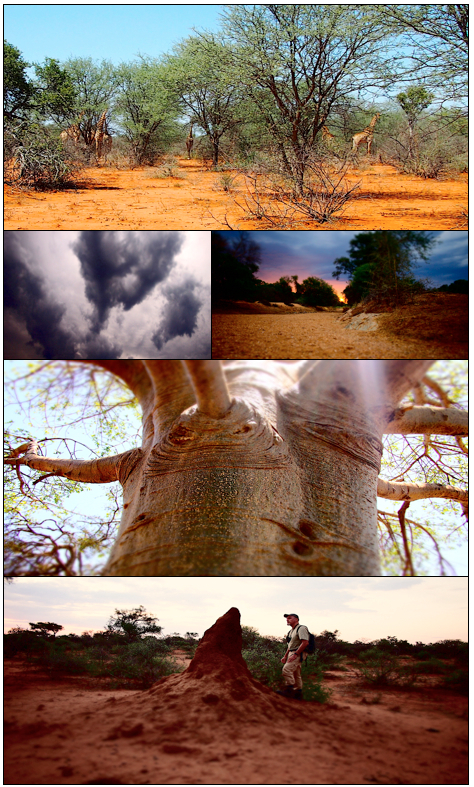 This 6500 Ha reserve is a Natural Heritage Site rich in wildlife and home to a variety of plains game, hippo, crocodile, leopard, jackals, bat-eared foxes, and many species of small carnivores. The area, with its beautiful riparian woodland and permanent pools, is renowned for its abundant and diverse birdlife, especially migrants. 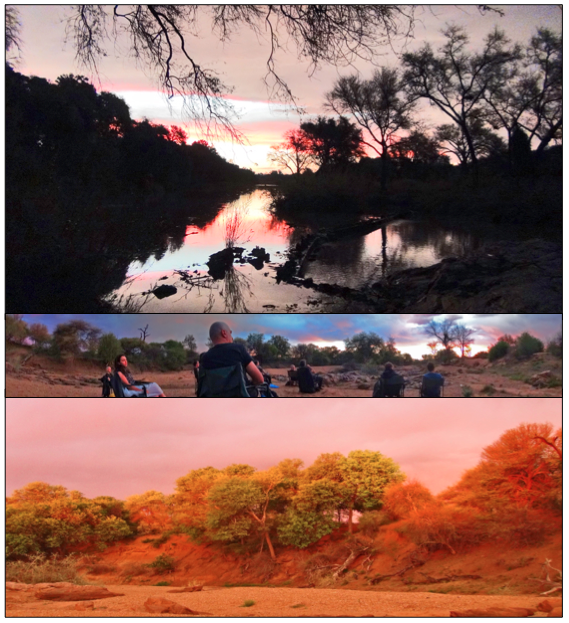 It has extensive pristine Limpopo River frontage, including the famous Mmabolela Rock and Hippo Pool. 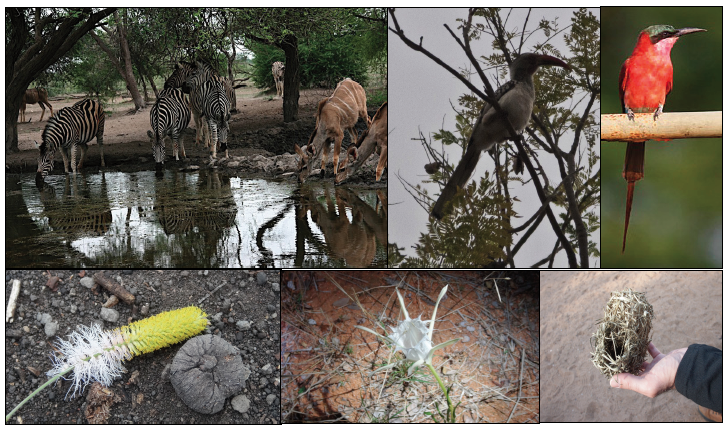 Mmabolela has no recent history of agricultural spraying or dipping, or electronic pollution (microwave or cell phone towers), and consequently has a bountiful insect population which provides food for many species of birds, rodents and small mammals, all of which contribute to the biodiversity of this ecosystem. 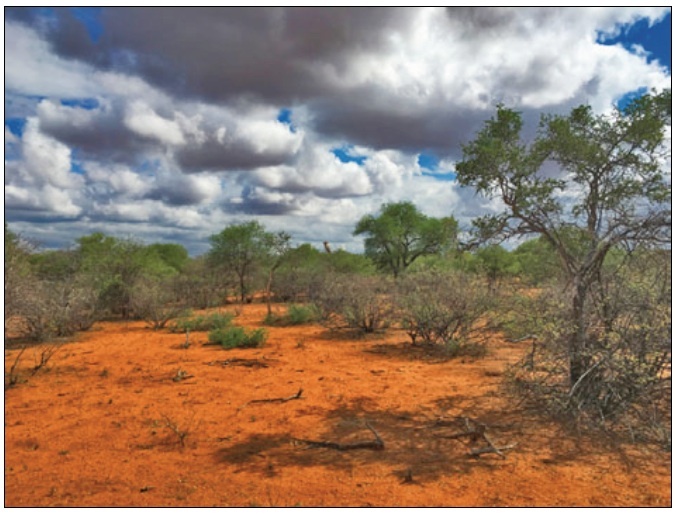 During the summer months (October - March) the Limpopo Valley has average day maximum temperatures close to 30ºC (85ºF) with night minima around 17ºC (60ºF). 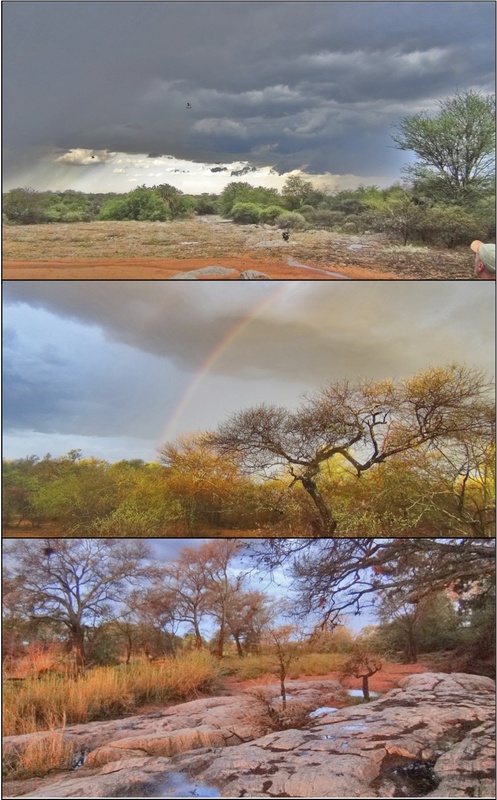 The period of November-December is the first half of the rainy season, although given the overall dry climate of the region, that translates into moderate registers of 40-60mm/month, with an average of 8-10 days of rain per month during that period. Daylight hours go approximately from 5:30AM until 7:30PM. 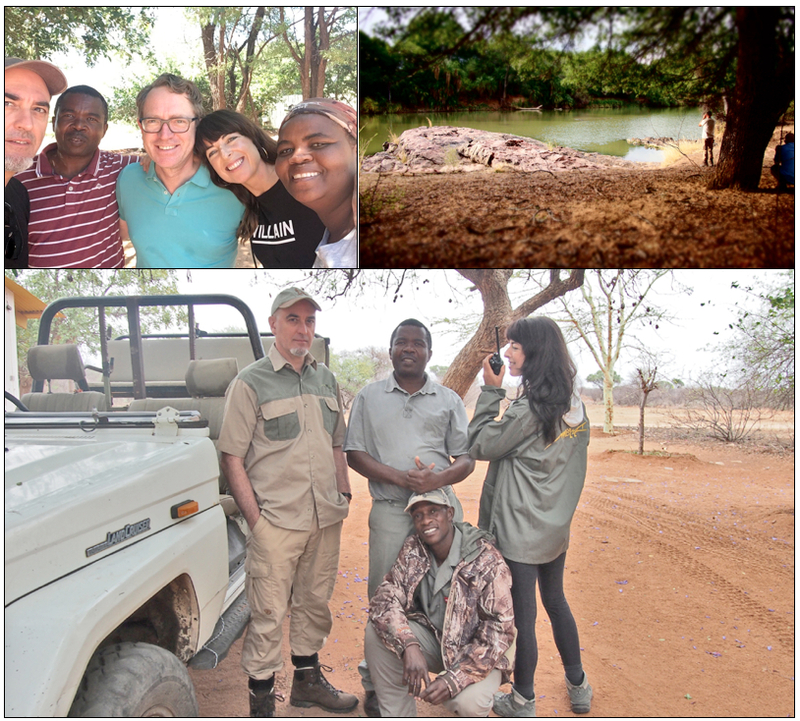 For the realization of the workshop/residency we hire the entire Mmabolela reserve for the whole duration of our stay. 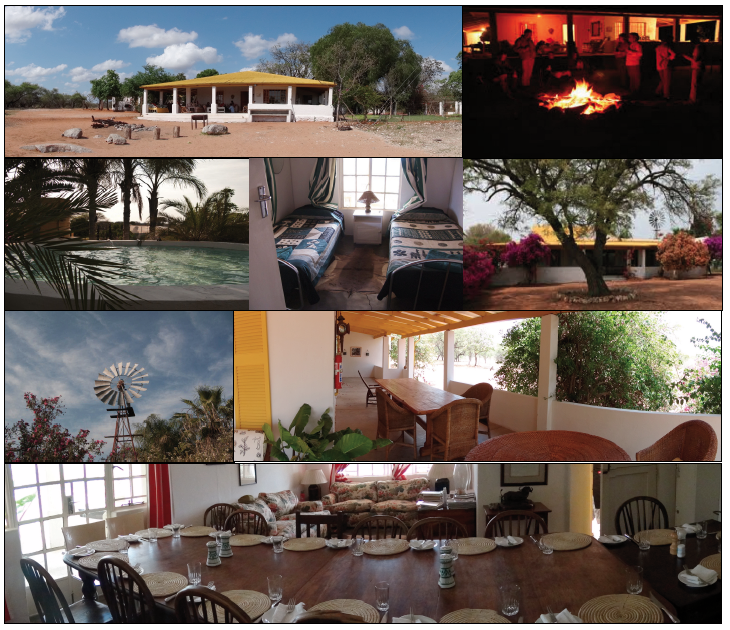 We have an original fully-equipped farmhouse in the property with several buildings at our disposal (the “Weederdooper” homestead), with several double rooms, which can accommodate a total maximum of 10 guests. 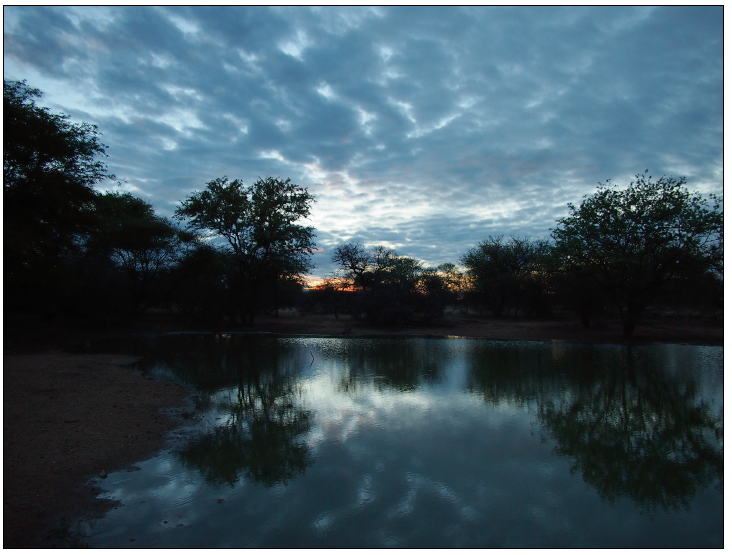 The main building overlooks a water hole frequented by game and the homestead has its own plunge pool. All transportation is booked and organized for participants from the very arrival at Johannesburg airport (individually), all the way to Mmabolela reserve (group minibus). Hotel accommodation in Johannesburg is also booked for participants on arrival and departure dates. 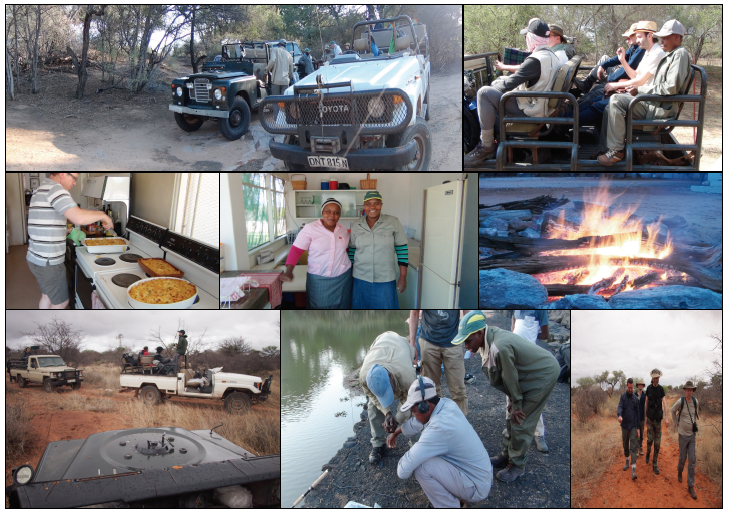 Although Mmabolela is normally a self-catering, self-drive operation, for this workshop/residency we hire a chef/kitchen staff and local guides/drivers for all daily field recording trips (day and night) and any other logistic needs, including the necessary 4x4 vehicles. 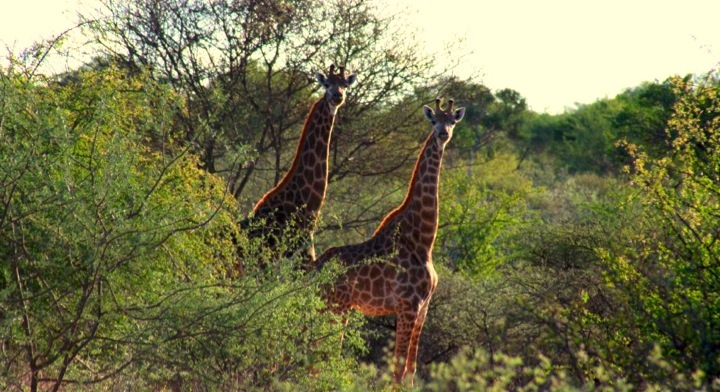 Like most wilderness areas in Africa, Mmabolela reserve is home to a large number of wildlife species, some of which might be hazardous. There are no lions in the reserve and leopards -as it happens in virtually all areas where they are presentare an extremely rare sight. Unbeknownst to most people, however, hippos can be dangerous animals, particularly at dawn and dusk when they go out of the water to graze. Naturally, during our field work, we take all necessary precautions and take no risks whatsoever with these or any other potential hazards. 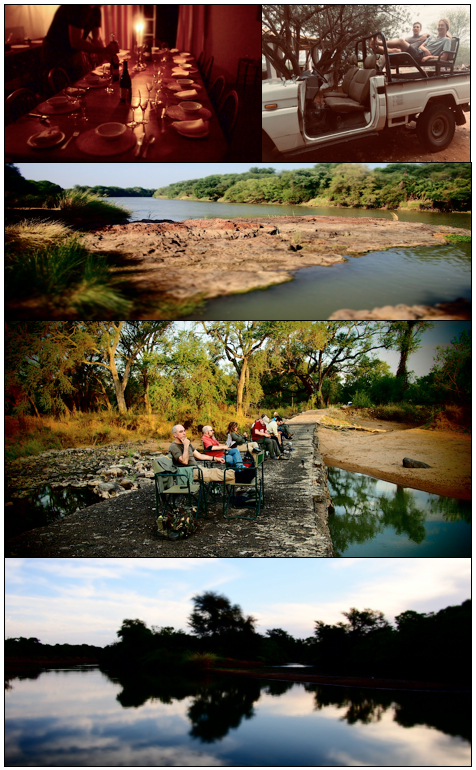 Activities such as hiking, biking and fishing are regularly carried out by visitors at Mmabolela. Despite this, and solely for reasons of safety, there are some obvious restrictions to individual, un-guided movements in the reserve. All participants are asked to sign a standard liability form for outdoor activities of this kind in a wilderness area of this type. There is no malaria in the region. 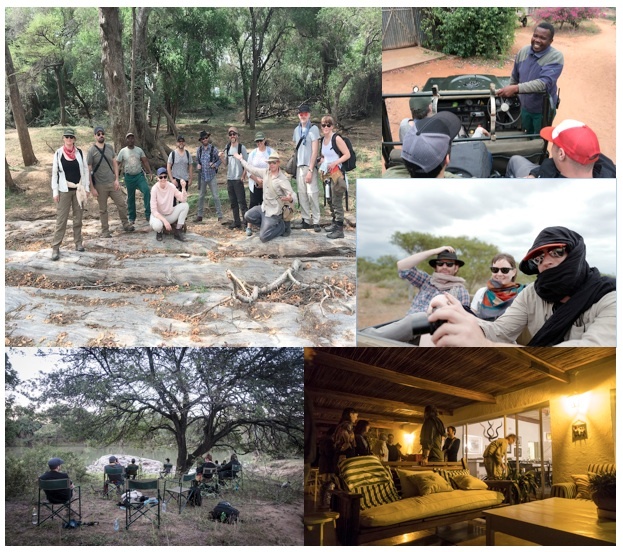 Vaccinations for hepatitis, yellow fever, typhus and rabies are customary for travellers in the African wilderness in general; you should visit your doctor for advice on these. 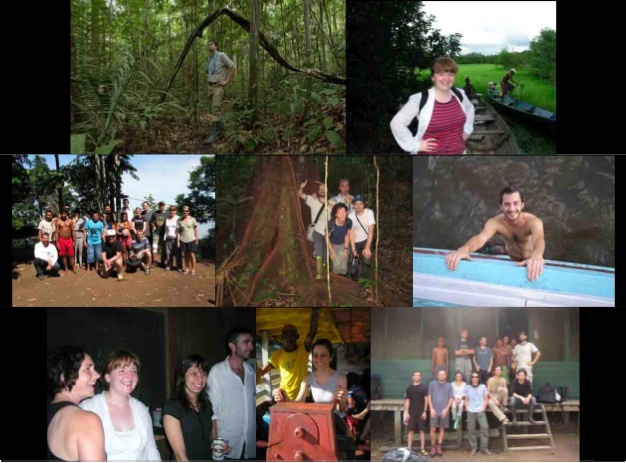 Every participant is responsible for taking proper health travel insurance. Participants should bring their own portable field recording gear. Windscreens are strongly recommended, as windy conditions are quite common. An umbrella can be occasionally useful to protect equipment from both direct sunlight and rain. 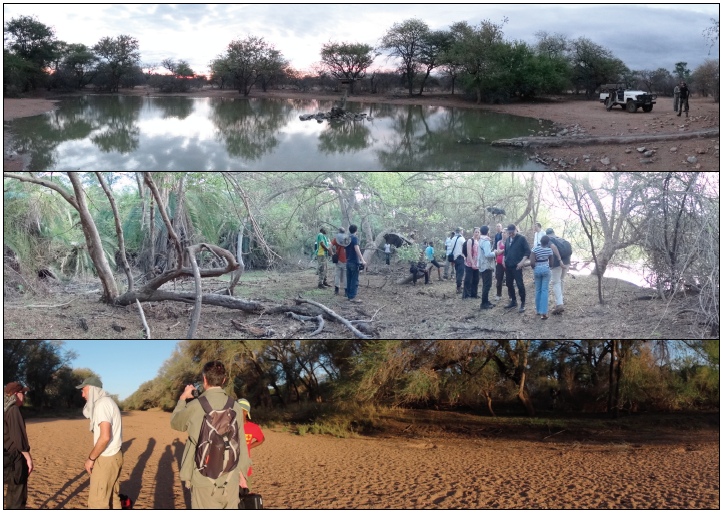 There are opportunities for hydrophone recordings in the Limpopo river. 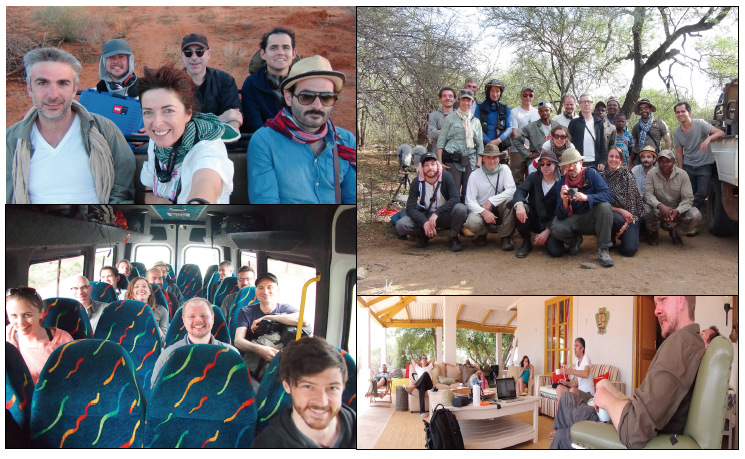 Each one of the possible several daily field recording trips (which are made in group – see note below) might typically produce about 2-3 hours of recorded material. In addition, there are also opportunities for optional overnight recordings (leaving recording equipment overnight, secured with wire or cable ties, in selected locations), which might produce many hours of recordings. All of this has to be considered in terms of batteries and memory cards / memory drives. It is absolutely necessary that each participant brings his/her own studio equipment; that is, a laptop computer with audio software that the user knows how to use, as well as headphones, any external memory drives he/she might need for copies/back-ups, and all the necessary cables. For the workshop/residency we bring a professional monitoring speaker system, as well as a beamer, for presentations and group listening sessions / screenings. Voltage in South Africa is 220-240 Volts. The electrical plugs/sockets are spectacularly large (see plug info here), so you will need adaptors for your equipment plugs (e.g., see adaptor info here). A small power strip for all your plugs is a must and reduces the need for adaptors. We normally bring some extra adaptors, to have at least one per participant. Although there is electricity in the farmhouses, some occasional power restrictions might take place. In addition, we have field recording sessions at night almost every day. A flashlight is thus one of the mostcommonly used tools in Mmabolela. Head flashlights are very practical during field work. Bring plenty of batteries or rechargable ones with charger. 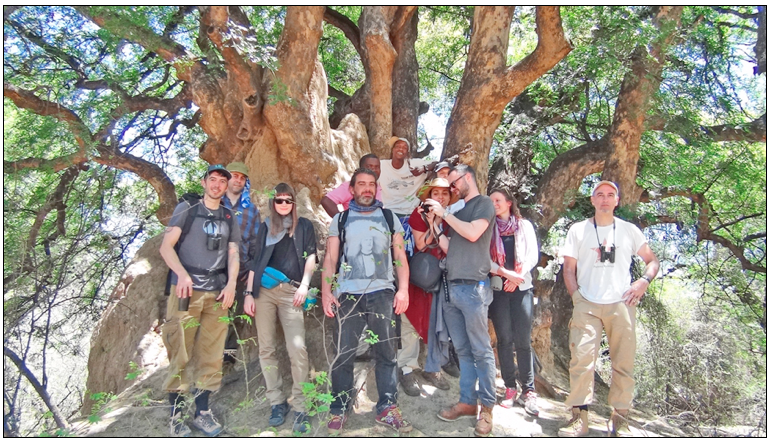 For the field recording trips and on relatively cooler nights you might prefer to wear long pants and a long-sleeve shirt -also to prevent insect bites and scratches from thorns, etc. For all other situations, shorts and T-shirts are the most comfortable. Bring a bathing suit, since we do have plunge pools. Bring a thin jacket/sweater, as some nights/early mornings might be relatively chilly. Rain is very likely to happen, sometimes torrentially. Bring proper rain gear and a small umbrella (some people also use it for the sun). Comfortable hiking boots/shoes are recommended for the field recording trips and short hikes. For the houses and surrounding areas, sandals/flip-flops are perfect. During the day it is typically sunny and it might get occasionally quite hot. Sunblock, a hat and a sun scarf are very advisable. Every participant is responsible for taking proper health travel insurance. Bring all your necessary medication. If any participant suffers any particular ilness or disease, he/she should inform the organizers beforehand and bring all proper specialized medication. • Hiring of the entire Mmabolela reserve for exclusive use by the participants during the whole duration of the workshop/residency. • Daily working sessions with field recordings, studio work, and collective theoretical/discussion presentations (total of 8 to 12 hours a day, with optional activities and flexible schedules). • Full accommodation: 2 nights hotel (arrival/departure) in Johannesburg (double room) + 13 nights in private farmhouses in Mmabolela (double rooms with beds, separate bathrooms, shower/toilets, dining/studio working room, electrical system with 220V power sockets, monitoring speaker system, beamer, kitchen, plunge pools). • All meals and beverages in Mmabolela as well as dinners in Johannesburg for arrival and departure days. • Pick-up service from/to the airport in Johannesburg. • Return trip Johannesburg - Mmabolela by minibus (approx. 7-8 hours). 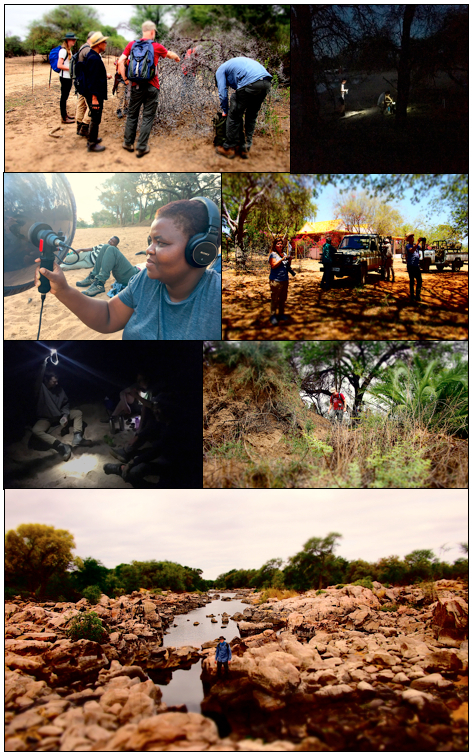 • Daily transportation in Mmabolela by 4x4 vehicle to field recording sites (day and night). 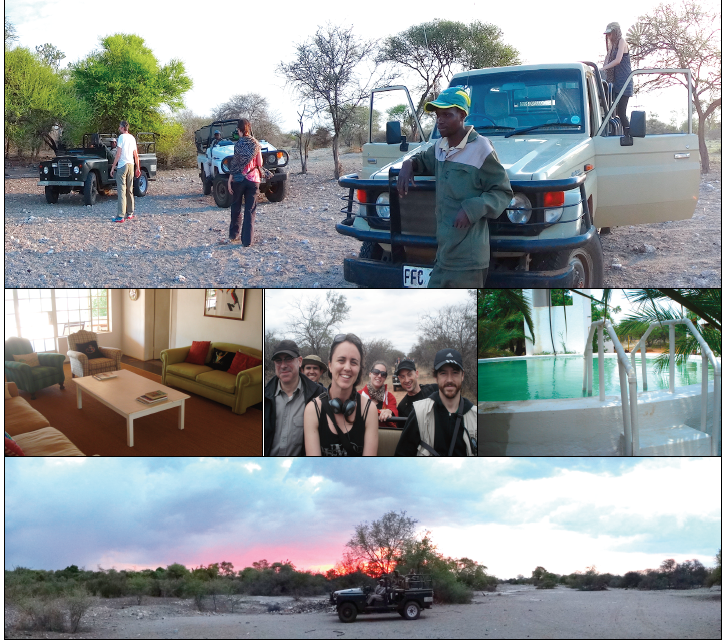 • Staff: local guides/drivers, chef, kitchen/maintenance workers, and logistics manager. 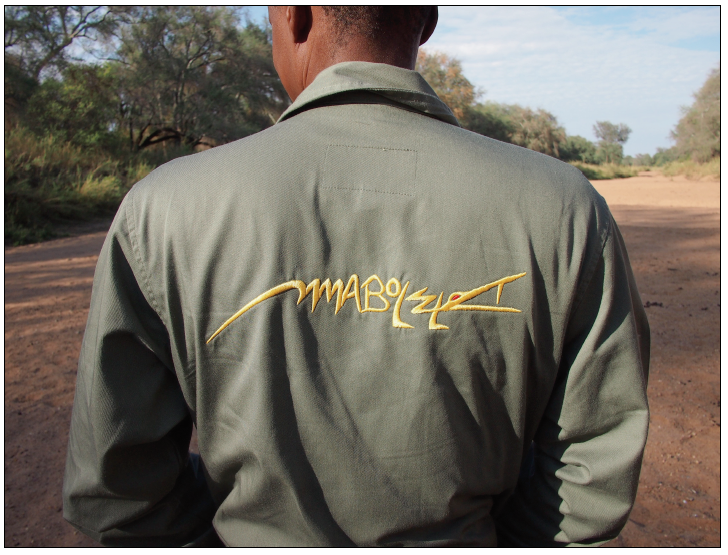 ‘Sonic Mmabolela’ is a non-profit, independently-run project. 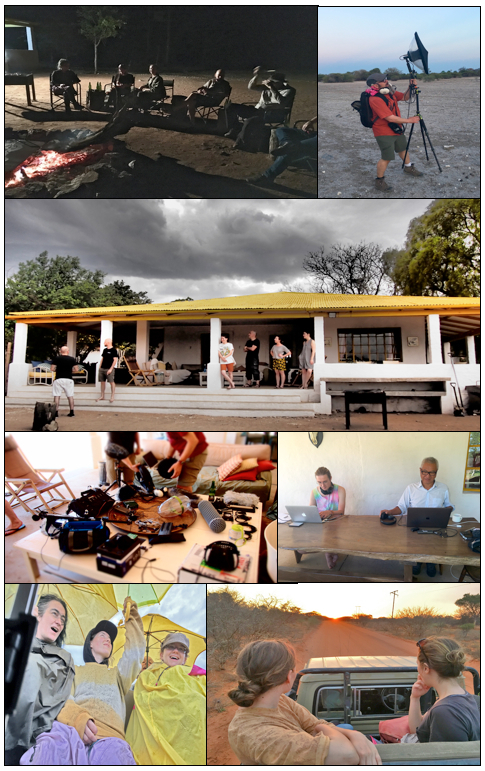 Each participant artist/composer must seek funding for his/her workshop/residency costs, as well as the flight to Johannesburg and his/her medical insurance. To this end, after the application process (see below), we provide formal invitation letters to prospective participants. The group needs a minimum of 6 participants for the workshop/residency to take place. The artists/composers selected after the application process will receive a formal invitation letter from the director of ‘Sonic Mmabolela’ to help them in seeking funding support. To join the workshop/residency they will have to pay the registration fee and fill in the registration form that will be later provided by the organizers. Mamori Sound Project is a 2-week workshop/residency for professional and semi-professional sound artists and composers with previous experience in the area of sound experimentation and field recordings. 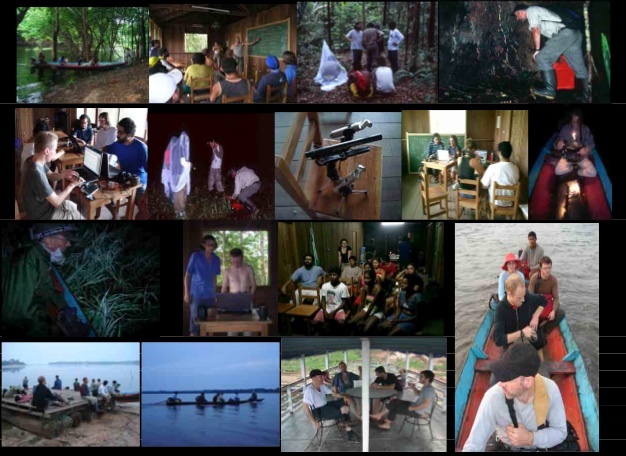 It takes place at Mamori Lake, in the middle of the Brazilian Amazon, and involves theoretical/discussion presentations, field work and studio work. 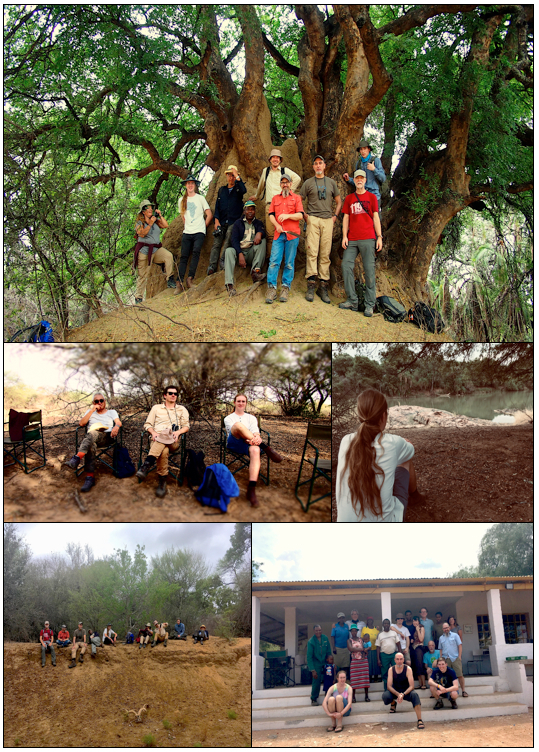 The workshop/residency has a special focus on creative approaches to the work with field recordings, through an extensive exploration of natural sound environments. It does not have a technical character but is instead conceived and directed towards the development and realization of a collective project of sonic creation with the interaction of all participant artists/composers. - Introductory theoretical/discussion presentation sessions on field recordings and sound creation, with a historical/philosophical perspective. - Field trips (both diurnal and nocturnal) for extensive listening and recording of sound environments. - Collective listening and discussion sessions of the sound materials gathered. - Sessions of studio work (with laptop) using these materials. - Development and realization of a sound piece by each participant (or in small groups), as part of the collective project. - Public presentation of the finished pieces for both the participant artists and members of the local community at Mamori Lake. 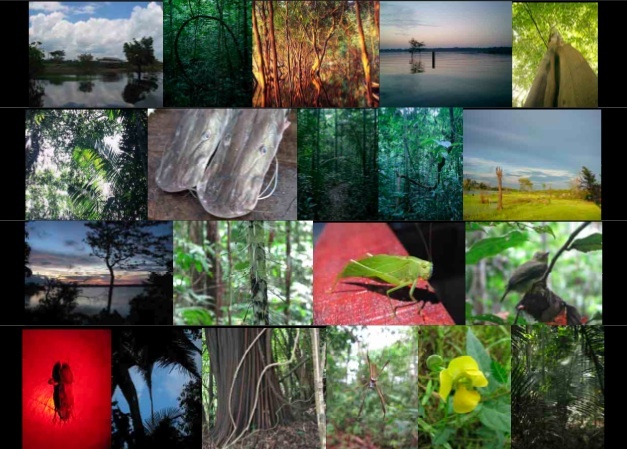 All these activities are organized in a daily schedule according to the changing sonic environments of the rainforest. This typically involves many hours of field and studio work but there is also flexibility to allow participants to choose from several schedule options and to have the opportunity to carry out other activities related to the daily life in this environment, such as fishing for food or interacting with the local community. The language for the workshop/residency is English. The director also speaks Spanish and has medium-level knowledge of both Portuguese and French. Francisco López, director of "Mamori Sound Project", is internationally recognized as one of the major figures of the experimental music and sound art scene. 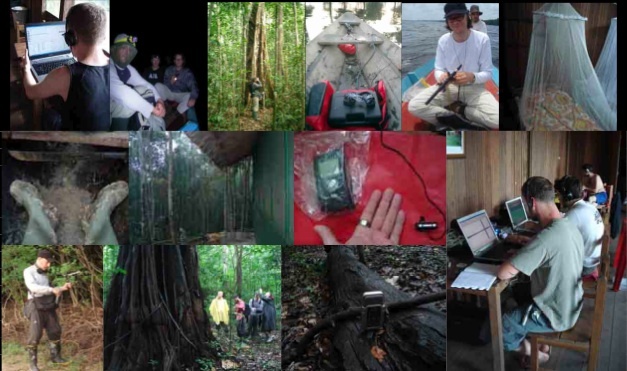 He is also a Ph.D. ecosystem biologist, with more than twenty years of teaching experience in Spain and Latin America. His experience in the field of sound creation and work with environmental recordings spans over a period of thirty years. His work has been released by more than 200 record labels worldwide and he has been awarded three times with honorary mentions at the competition of Ars Electronica Festival. He has realized hundreds of field recording projects, commissions, live performances, sound installations and workshops, as well as research in entomology and ecosystem dynamics, in 60 countries in the five continents, with a particular emphasis on tropical areas in the Americas, Africa and Australasia. He has been directing and organizing "Mamori Sound Project" since 2005 and he has a detailed sonic knowledge on its surrounding environments. Mamori Lake is one of the myriad lakes in the Amazon river. The closest city is Manaus, capital of the Brazilian state of Amazonia. 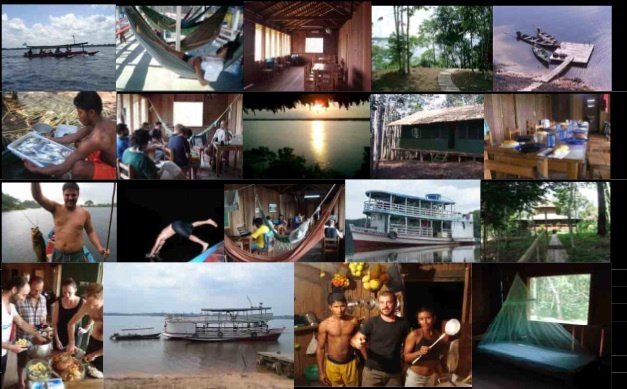 The trip from Manaus to Mamori Lake is about 3-4 hours, depending on the season and the transportation, which can be directly by medium-sized boat or via a combination of minivan and small boats. The ecosystem of Mamori Lake is a lowland tropical rainforest with lush vegetation and abundant wildlife, including and astonishing variety of insects, fish and amphibians, birdlife, river dolphins, crocodiles, howler monkeys, etc. Average annual temperature is about 25ˆC, with very little seasonal variation. Days are typically hot and sunny (with maxima of about 30-35ˆC), cooling down if there is rain. Nights can be comparatively fresh, with a minimum temperature of about 15- 20ˆC. Humidity is very high (around 80-90%). 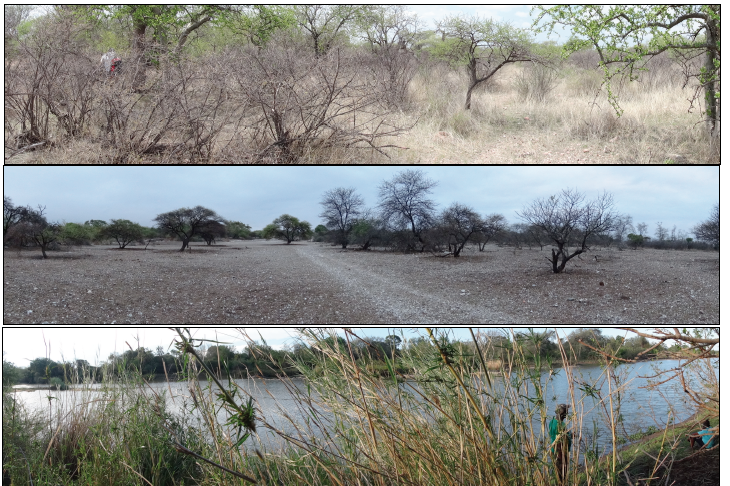 The dry season goes from August to December. During this season rain is occasional, but not rare, and is typically short and abundant. During the rainy season (January to July) there is very frequent and intense rain, almost every day. Daylight is from about 6:00AM to 6:00PM, with almost no variation between seasons. There is a small local community in Mamori Lake, scattered in small family properties around the lake, as well as a central comunal area. They live mostly on the local resources of the area, with fishing as one of their main activities. All people hired by Mamori ArtLab belong to this community and one of the main aims of the organization is to keep a constant feedback interaction with them. To this effect, Mamori ArtLab occasionally organizes educational activities with the community, public presentations of the results of the workshops, and even a soccer game (that the Brazilians invariably win). For the realization of the workshop/residency, Mamori ArtLab, the hosting organization, owns a wooden lodge on a private property by the edge of Mamori Lake, with a small boat dock. 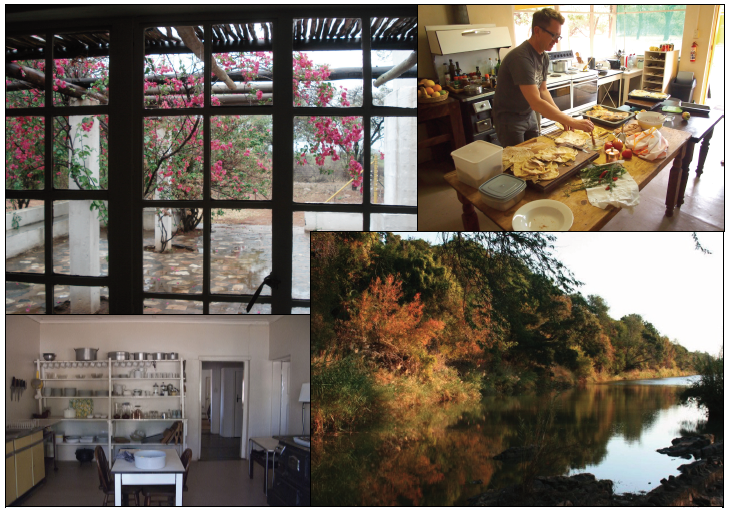 The lodge has double rooms with beds (equipped with mosquito nets), fans, and shower/toilet, as well as a large dining/studio room with tables, chairs and hammocks. It is equiped with a water tower reservoir, an electrical system with 110V power sockets, and a hut-covered, outdoor kitchen. For the workshop/residency, there is also a small, but efficient monitoring speaker system. Food mainly consists of a fresh daily catch of Amazonian fish, from piranhas to tucunaré, the latter very appreciated in the area for its flavor. There is also occasional chiken and beef, as well as tropical vegetables and fruits. Rice, beens and tapioca flour are the most common local complements to the diet. With some limitations in the produce available in the area we can nevertheless provide a vegetarian diet. All transportation from/to Manaus is organized with locally-hired boat and minivan transports. Although there are a few trails in the area, the main local transportation system is by small engine-powered boats or canoes. Mamori ArtLab hires an experienced local guide/boatman that is available 24-hours for all field recording trips and any other logistic needs (including going along for a fishing experience). There is also a cook, some ocassional maintenance workers, and a Mamori ArtLab logistics manager. Like most tropical rainforest environments, Mamori Lake is home to a large number of wildlife species, some of which might be hazardous. Both piranhas and crocodiles are abundant in the waters of Mamori. However, like all wild creatures, they do not attack humans unless they are badly disturbed, and there has never been such an event in Mamori ArtLab. As is common in the whole Amazon basin, there are poisonous snakes in the area, but they are very rarely seen or encountered. Insect bites are more a daily thing one gets used to live with than a real danger. 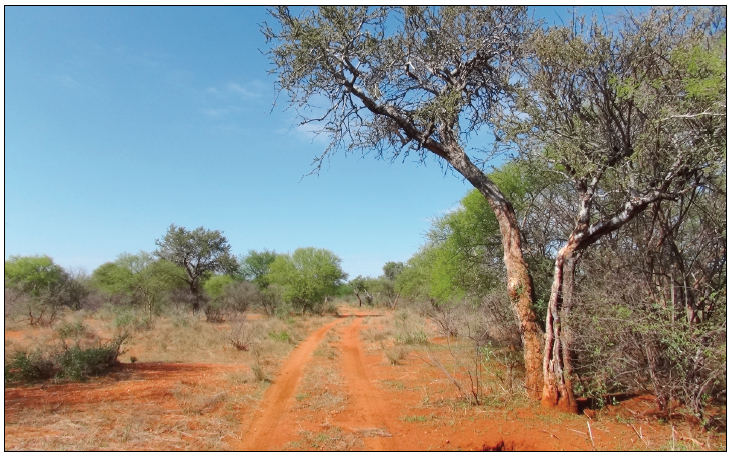 Although not abundant, there is malaria in the Mamori region, and thus medical prophylaxis and prevention against mosquito bites are important and recommended. Brazilian health authorities also recommend proper vaccination for hepatitis, yellow fever and typhus. They might ask foreigners for an international vaccination certificate upon arrival at Manaus airport. Sound recording gear: Participants should bring their own portable field recording gear. 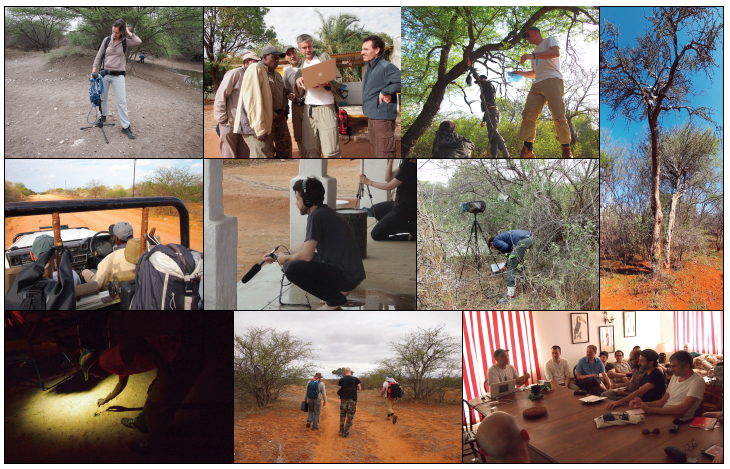 Field recording trips (which are made in group - see note 1 below) typically produce about 1-2 hours of recorded material, which has to be considered in terms of batteries and memory cards. Because of the high humidity it is highly recommended to keep all recording gear inside water-proof bags. We haven't experienced any humidity-related problems for a very wide range of the typical digital recording devices used today. However, we do have experienced problems with most condenser microphones (humidity condensation producing noise), while this never happened with electric ones (like the ones in Zoom devices). It is thus highly recommended to bring contact cleaner and/or "Detox-it" for cleaning cables and connectors (see note 2 below). [Note 2: List of previously used equipment NOT affected by humidity (all kept in water-proof bags when not in use): Digital recorders: Sound Devices 702, 722, 744, Sound Devices MixPre, Tascam DR1, Edirol R09HD, Fostex FR 2LE, Marantz PMD670, Sony PCM D50, Zoom H2 & H4 (although some people won’t recommend the last one for other reasons, namely motor noise). External microphones: DPA 4060, 4061, Soundman OKM Binaural, Røde NTG-3 Shotgun Microphone, Sonic Studio DSM-1S/H, Shotgun Audio Technica AT815ST, Aquarian Hydrophones H1a, Bat detector Pettersson Elektronik D 200. - Studio equipment: It is absolutely necessary that each participant brings his/her own studio equipment, that is, a laptop computer with audio software that the user knows how to use, as well as headphones and any external hard drives or pendrives you might need. Bring blank CDRs and DVDs for copies and back-ups and don't forget any of your necessary cables. A monitoring speaker system is available at the lodge for group listening sessions. - Adaptors: Power sockets in the lodge (110V) are valid for European and American plugs, but not for UK, Australia or South Africa plugs, for example. Bring your adaptors, if needed. A small power strip for your plugs is also very helpful. - Flashlights: Although there is electricity in the lodge, the power lines are not fully reliable and power cuts are not unsual. In addition, we have field recording sessions at night almost every day. A flashlight is thus one of the most-commonly used tools in Mamori. Head flashlights are very practical during field work. Bring plenty of batteries or rechargable ones with charger. - Mosquito nets: The lodge is equiped with mosquito nets in the windows and also for the beds and hammocks. When inside the forest, and particularly at night, insects might occasionally be a nuisance. A head net is useful and allows to work more comfortably. - Clothes: While inside the forest, it is recommended to wear long pants and a long- sleeve shirt, to prevent insect bites and scratches from thorns, etc. For all other situations, shorts and T-shirts are the most comfortable. Bring a bathing suit, since swimming with the piranhas and the dolphins is something we like to do at Mamori Lake. A thin jacket is not a bad idea, as some nights might feel relatively chilly. Since rain is likely to occur, even during the dry season, a light raincoat, poncho or equivalent is recommendable. A small umbrella might also be useful (rain and sun). - Shoes: For the short hikes inside the forest and along the river banks high rubber boots ("wellingtons") are recommended, for both mud and to prevent insect or snake bites. For all other situations, sandals are perfect. - Sunblock and hat: During the day, and particularly while on a small boat, it might get quite hot. Sunblock and a hat are very advisable. - Water-proof bags: The combination of very high humidity, rain and life on small boats makes very recommendable to bring water-proof bags (from small plastic ones to a larger rubber one, like the ones used for canoeing) for all the electronic equipment, and even for books or clothes. - Medicines: Every participant is responsible for taking proper health travel insurance. There is a standard first-aid kit in the lodge. In the Mamori Lake community there is a paramedic but no clinic or other medical services. Bring all your necessary medication. If any participant suffers any particular ilness or disease, he/she should inform the organizers beforehand and bring all proper specialized medication. - Daily working sessions with field recordings, studio work, and collective theoretical/discussion presentations (total of 8 to 12 hours a day, with optional activities and flexible schedules). - Full accommodation: 2 nights hotel (arrival/departure) in Manaus (double room, air-conditioned, swimming pool) + 13 nights cabin in private lodge in Mamori (double rooms with beds, mosquito nets, fan and shower/toilet, large dining/studio room with hammocks [which are also an option to sleep for those who prefer them], electrical system with 110V power sockets, monitoring speaker system, kitchen). 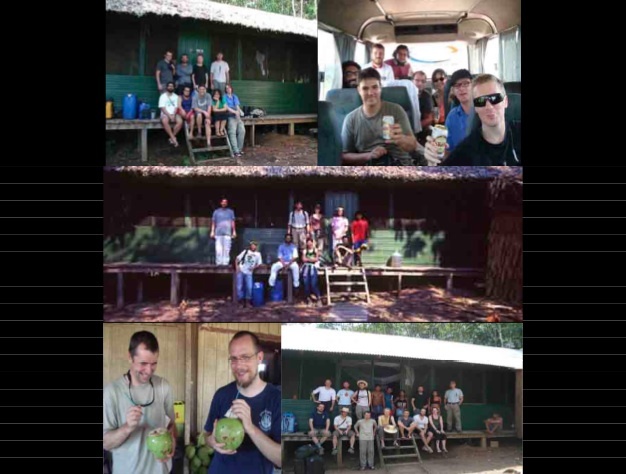 - All meals and beverages: including daily catch of fresh Amazonian fish (piranhas, among many others), purified drinkable water fountain, juices, beer and occasional caipirinhas. All meals in Manaus also included for arrival and departure days. - Transportation from/to the airport in Manaus. - Transportation to/from Mamori by van and boats (approx. 3-4 hours). - Daily transportation in Mamori by boat to field recording sites (day and night). - 2-3 day trip on large double-deck boat to another location in the Mamori region. - Local guides/boatmen, cook, maintenance workers, and logistics manager. Mamori Sound Project is a non-profit, independently-run project. Each participant artist/composer must seek funding for his/her workshop/residency costs, as well as the flight to Manaus and his/her medical insurance. The capacity of the workshop/residency is limited to a small group (currently a maximum of 12 participant artists/composers). The artists/composers selected after the application process will receive a formal invitation letter from the director of Mamori Sound Project to help them in seeking funding support. To join the workshop/residency they will have to pay the fee and fill in a registration form that will be later provided by the organizers. The group needs a minimum of 8 participants for the workshop/residency to take place, and has a maximum capacity of 12 participants.